My in depth X-T2 vs. X-T1 comparison has been posted, including lots about each camera’s grips. Despite still having a few new bodies to review and compare, I’m planning to take a bit of a break from bodies to focus on lenses. A possible exception is the GFX if I happen to receive a test unit with limits on my time with it. I have a bit of an affinity for Fuji cameras. I don’t think I could have chosen a better system to switch to. Nothing is perfect though, and there are a few items on the firmware level I’d really like to see tweaked, adjusted, or have options provided for. This list is by no means exhaustive. There are probably a couple things that have slipped my memory even with this batch, but these are the ones that came to mind in my recent X-T2 testing and comparing. I’ve been using Fuji cameras since the days when finding an X100S in stock was miraculous. Over half a dozen cameras later, I still struggle with Q Menu selection. For me, the way some1 of the items cycle during selection is just plain backwards. We typically make selections of things from left (-) to right (+).2 Sliders in our digital lives and “IRL” slide right (or up) to increase. In the Q Menu, settings like Highlight Tone, Shadow Tone, Colour, Sharpness, and Noise Reduction are reversed. Turning a dial left (as you are looking at the camera) results in a positive amount or increase, and right, a negative amount or decrease. It could be argued that you are spinning the dial in a clockwise rotation as you look at the top of the camera to increase which makes sense for things like volume knobs, but I intuitively want to flick my thumb from left to right to input an increase. It could also be argued for Highlight and Shadow Tone that you are adding or increasing detail in those areas by turning the dial right, but it strikes me as more intuitive to add contrast as you would add saturation, sharpness, and noise reduction. And no, I don’t think the notion of adding noise is acceptable. We are adjusting the degree in which the noise reduction algorithms are affecting our images. The real kicker is the Custom Settings banks and Dynamic Range in the Q Menu count up as the dial is turned right. Even Film Simulation Mode selection cycles in from the default PROVIA through the other simulations in the order Fuji presents them by turning the dial right. This is a source of daily frustration for me. It’s like reversing the direction of handles on a faucet. I actually find myself avoiding the Q Menu in favour of honing my Function button setup. I think if I had a single usability request of Fuji, it would be to optionally reverse how these Q Menu items are selected. It will be difficult though as the inconsistency means it’s not a global setting. While we’re on the Q Menu, it drives me a little bonkers that we could use the front dial for Q Menu selection on the X-T1, but can’t on the X-Pro2 or X-T2. I assume this is because the front dial is used to adjust exposure compensation beyond ±3EV, but I can’t see how those two would conflict with one another. It’s a step backwards I’m still hoping gets addressed. This is one area that has improved immensely, but there’s one thing missing. As I recently tweeted, the rear command dial functions as OK when in menus, but the front dial does not function as BACK,3 forcing my thumb to travel all the way down to the actual BACK button. This isn’t a huge deal—you can also exit the menu with a quick tap of the shutter release—but it would save having to cycle through each of the tabs in “I.Q.” and “AF/MF,” as well as avoid lighting up the AF Illuminator if you have it on. On my Nikons, I could set the front Function button to switch the camera to spot metering when held. This made a huge difference in quickly adjusting my exposure to a specific part of my frame. Having dedicated Exposure Compensation dials is great, but not as fast as pressing a button your finger is always poised over. On the X-T1, if you set your X-T1’s shutter speed to 180×, the camera’s max flash sync speed, turning Command Dials will not change your shutter speed. From a UX perspective, this is how it should be, at least by default. On the X-T2, this is not the case. I recently lost a pretty big chunk of testing work because I accidentally turned the rear (default) dial which resulted in the shutter speed on my X-T2 being changed to 1/320 of a second, leaving a dark gradient across the bottom of my images. The X-T1 has this right, and Fuji should really fix this or add an option to disable shutter speed changes via the Command Dials. I personally never use them. After the X-T1 was released, I was sure it wouldn’t be long before a firmware upgrade would make add the same UI rotation seen in the EVF to the LCD. A bunch of cameras and even more firmware upgrades later, the LCD’s UI stays fixed in landscape. What’s Your Burning Feature Request? Send it in, or hit me up on Facebook or Twitter. My Early 2017 Recommended Kits have been posted. Last year’s kit recommendations were awkwardly straddling two generations of sensors and processors. This year, just about the entire X-Series has caught up and is now on equal image quality footing. What could be more awkward for kit recommendations than bodies with different sensors? 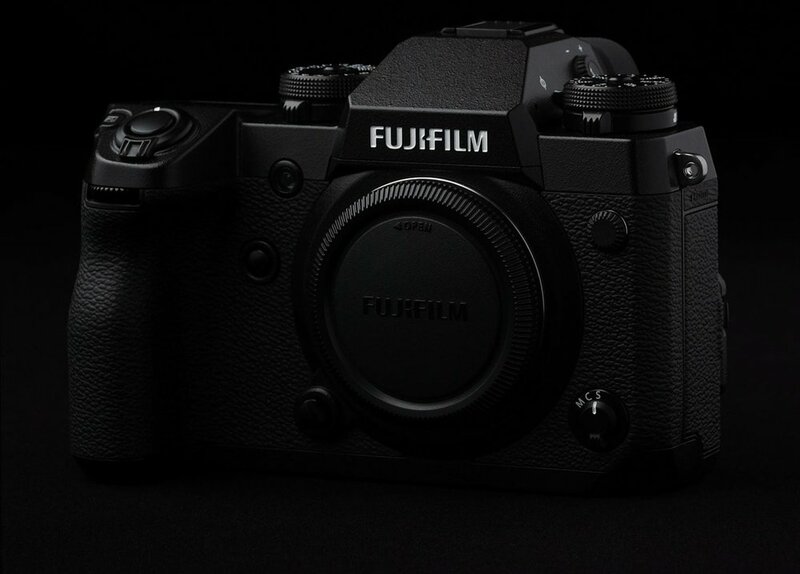 A whole new format and system, natch, and that’s exactly what Fuji’s gone and done. While I will be sure to compare the GFX with the X-Trans III sensor, it’s really not appropriate to consider medium format when building out an APS-C kit. Plus, those who need medium format know that they’re getting it already. So, apart from casual mention and perhaps an exclusive category or two, this kit building piece will focus mostly on X-Series. The breakneck pace at which Fuji has been releasing lenses seems to have finally levelled off a bit, but I still have a lot of catching up to do on my testing and review. Thus, a couple lenses are recommended based on preliminary testing, and have been noted as such. This page will likely see an update in the second half of this year.